Fitness Equipment Source / Blog / Blog / Which Type of iFit Live Machine Is Best For Me? Which Type of iFit Live Machine Is Best For Me? iFit is undoubtedly an awesome platform for those who want to track their fitness. 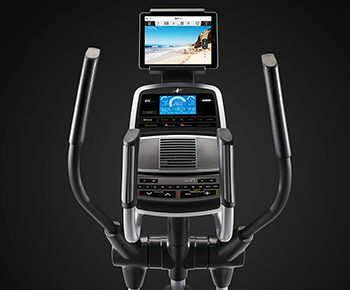 This system is available on machines like NordicTrack and ProForm that come from parent company Icon Fitness. It allows you to run the world with Google Maps and create customized workout plans designed by top trainers like Jillian Michaels. By using your online account and iFit Live machine, you can track progress towards your goals and enjoy more interesting workouts. It can be a confusing one for potential customers. Which type of iFit Live machine is the right one to buy? We recently spoke with a NordicTrack representative to get their take on how to best distinguish between these models so you can get the machine that will work best for your goals. Up until recently we had seen a wide variety of labels attached to machines when it came to iFit. Machines were either enabled, compatible, Bluetooth enabled or ready…and needless to say it got a little confusing. Thankfully, NordicTrack and ProForm have streamlined these categories to make it much easier to understand. Basically, it all comes down to the type of display the machine comes equipped with. If the machine does not have an HD Touchscreen display than you have the option of purchasing an iFit membership, but you will also have to supply your own device to use as the screen. The machine will work wirelessly through Bluetooth to interact with your device and utilize the iFit features. If the model that you purchase does have an HD Touchscreen display, not only are you ready to use iFit, but currently most models come with a 1-year iFit subscription with purchase. This means you are ready to start taking advantage of all iFit has to offer right away. But keep in mind, after the first year it is a paid subscription that you will have to maintain. At that point you can decide if you want to continue using it, but having that first year to try everything out is really nice. Note that ProForm makes this really easy to figure out by actually putting it in the model name. If the model is a SMART machine, that means it has a SMART HD Touchscreen and will be ready to start using iFit. Which iFit Machine Type is Right for You? iFit on the ProForm Endurance 720 E Console. The type of iFit machine you purchase may depend on a wide variety of factors: motor size, deck size, brand, etc. Price of course is always a consideration. We have seen a direct connection between the price of a machine and the size/type of its display, so that is the first things you may want to look at. You may also want to consider whether you will actually use the iFit technology. If it is something you can do without, then the iFit Compatible type is probably best for you. These will be the machines that feature a backlit display. You will still have the option to purchase a membership and use your own device if you change your mind down the road. Or, if you just want to have everything integrated and ready to go, then you should consider the iFit ready machines. These will be any of the machines that feature an HD Touchscreen and will also get you the 1-year paid membership to test it out. Once you’ve made that decision, it’s really just a matter of how large you want the screen to be, which is the same as deciding how much you want to spend. Regardless of which type you choose, you will be getting a great fitness tracking program. To learn more about the benefits of iFit Live, check out NordicTrack and ProForm Ellipticals.